Andy Rowlett's civil litigation practice encompasses insurance subrogation and recovery, insurance defense, insurance coverage analysis and litigation, and appellate work. Before affiliating with the firm in 1994, he clerked for Judge Clifford Sanders of the Tennessee Court of Appeals. Andy is a Tennessee Supreme Court Rule 31 Listed General Civil Mediator. Andy has chaired the Circuit and Chancery Committee of the Nashville Bar Association as well as its Appellate Practice Committee. He also chaired the Mock Trial Committee of the NBA's Young Lawyer's Division. Andy received his B.A. from Emory University in 1990, and his J.D. from Vanderbilt School of Law in 1993. Andy has successfully represented clients in numerous jury and non-jury trials for over 23 years. 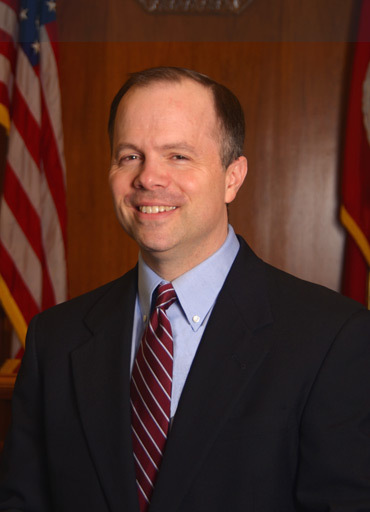 He has been involved in multiple appeals in both federal and state court, including arguing before the Tennessee Supreme Court and the United States Court of Appeals for the Sixth Circuit. During the last few years, his clients have prevailed in over 10 jury trials and multiple appeals. The year 2014 included the U.S. Sixth Circuit Court of Appeals upholding both a favorable jury verdict and a district court's decision to grant a motion for summary judgment in favor of a client. One recent jury trial win lasted six days and involved complex Daubert issues with over $4 million in claimed expenses. Another lasted ten days with a property damage claim exceeding $3 million. Andy is a Tennessee Supreme Court Rule 31 Listed General Civil Mediator. "Lessons Learned from the Target Data Loss About Subrogation Claims Against Information Technology ('IT') Companies." Winter 2015 issue of the Subrogator magazine of NASP (the National Association of Subrogation Professionals). "Tennessee Court Vacates Dismissal of Claim Based on Plaintiffs' Spoliation of Evidence Because the Defendant Spoliated Evidence Also." Fall 2014 issue of the Subrogator magazine of NASP (the National Association of Subrogation Professionals). "Comparative Fault as a Defense in Products Liability Subrogation." Property Casualty 360° January 17, 2014; Claims Magazine, February 2014. "Tennessee Limits Joint and Several Liability." Fall 2013 issue of the Subrogator magazine of NASP (the National Association of Subrogation Professionals). "How To Recover For A Subcontractor's Negligence." 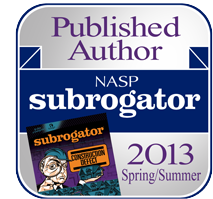 Spring/Summer 2013 issue of the Subrogator magazine of NASP (the National Association of Subrogation Professionals). "'Failure To Warn' Claims Against Component Parts and Bulk Materials Suppliers - How to Avoid Common Defenses." Spring/Summer 2012 issue of the Subrogator magazine of NASP (the National Association of Subrogation Professionals). "The Common Interest Doctrine - Key Practices for Maintaining Confidentiality." Spring/Summer 2011 issue of the Subrogator magazine of NASP (the National Association of Subrogation Professionals). "When Should A Store Warn Customers?" Convention Issue 2012 of The Volunteer Grocer. "The Question of Legal Liability." Convention Issue 2011 of The Volunteer Grocer. Quoted in "Protect Yourself: What To Know About Shielding Your Business From Liability When You Hire A Sub" by Debra Gelbart of inPaint magazine. Fall 2014 at pp. 38-39. Quoted in "Avoiding Business on a Handshake: Minimize liability with a good contract" by Debra Gelbart of inPaint magazine. Summer 2014. "Litigating Insurance Coverage Claims: From Start to Finish" (co-presenter) including writing the materials for "Initial Pleadings/Motions – Filing the Suit" and "Discovery of the Insurance Case – Quantifying Damages/Loss." NBI CLE. December 14, 2012. "Economic Loss in Casualty Claims" (co-presenter) at the Property Loss Research Bureau/Liability Insurance Research Bureau (PLRB/LIRB) 2012 Regional Adjusters Conferences. "Loose Lips Sink Ships." Nashville Claims Association. May 10, 2011. "Insurance Coverage Litigation." NBI CLE. March 24, 2009. "Malicious Prosecution." Barristers CLE. December 15, 2006. "Insurance Coverage Trends." NBI CLE. June 21, 2006. The Honorable Order of the Blue Goose, International.